More than 20 Toothbrushes Removed by Surgeons from Their Patient's Stomach! 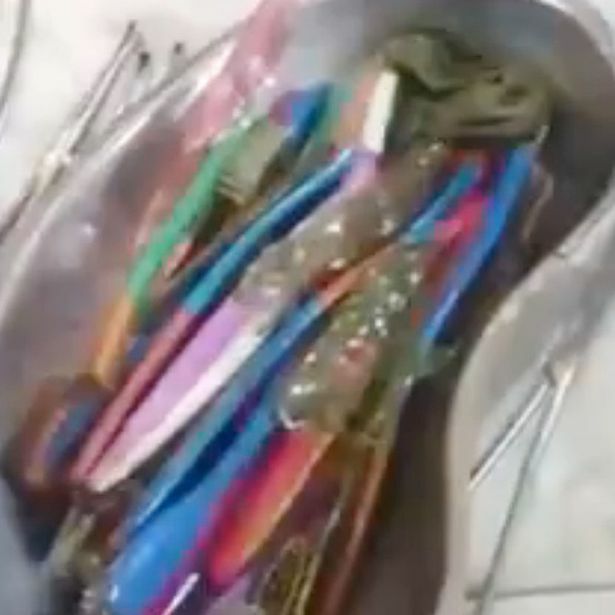 This Bizarre video on the internet lurks and emerged in social media, especially on YouTube the moment these surgeons removed more than 20 toothbrushes on their patient's stomach. 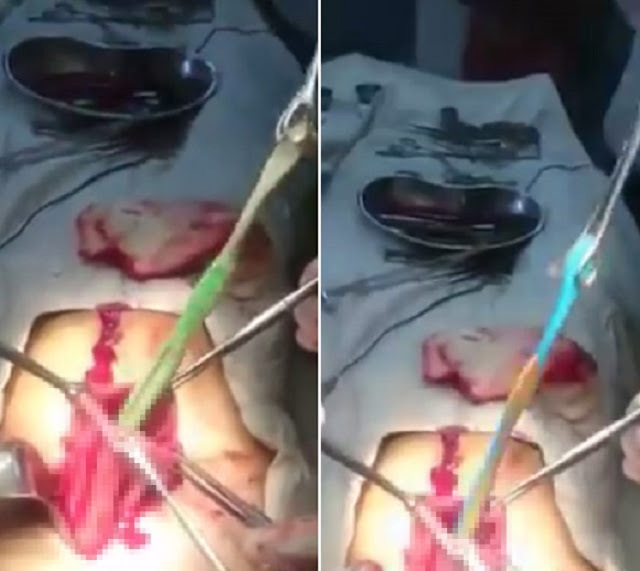 A footage showing how a surgeon dissects the inside of their patient garnered too much attention from the Netizens which baffles everyone after seeing them removing toothbrushes one by one coming from the stomach of the unconscious patient. Everyone was puzzled on how these things were inserted inside the abdomen of the man. But still, surgeons in the operating room kept themselves calm while taking out these hurtful toothbrushes. The stomach-churning clip has also been shared on LiveLeak.com, where it has been viewed more than 12,000 times within just 11 hours. There are no reports saying why he had it all in his stomach, but can you imagine swallowing your toothbrush after using it? Terribly disturbing. Warning: This Video contains extremely graphic content, images which is not suitable for young audiences, parental guidance is advised.